Ближний разведчик и легкий бомбардировщик. Цельнометаллический одномоторный полутораплан с неубирающимся шасси (колеса в обтекателях). Особенностями конструкции являлись очень короткое нижнее крыло, отсутствие расчалок в бипланной коробке и установка хвостового ДальшеMore>>> оперения на длинной и узкой балке. Самолет был спроектирован в КБ "Сосьете аноним дез ателье д'авьясьён Луи Брэге" под руководством М. Вюллерме и Р. Ледюка. Опытный экземпляр Br.XXVII (Br.270-01) совершил свой первый полет 23 февраля 1929 г. Серийное производство было начато на заводе "Брэге" в Виллакублэ в 1931 г. и велось до 1934 г. Всего выпущено 155 экз. Самолет состоял на вооружении во Франции с 1932 г., в Венесуэле - с начала 1934 г., в Китае - с декабря 1934 г.
Экипаж самолета - 2 чел. Вооружение 2x7,69 или 1x7,5+1x7,69 (у Br.273), бомбы до 120 кг (у Br.273 - до 400 кг). - Br.273 с мотором HS 12Ybrs (для Венесуэлы) или с мотором HS 12Ydrs (для Китая), лобовым водорадиатором, вооружение 1x7,5+1x7,69, бомбовая нагрузка до 400 кг. Небольшое количество машин было переделано в 1933 г. во Франции в самолеты связи с установкой сплошного фонаря на обе кабины и снятием всего вооружения. К 1938 г. значительная часть Br.27 французских ВВС уже была выведена во "вторую линию", в основном - передана в летные школы. В период "странной войны" их начали заменять более современными Р.63.11. Но в мае 1940 г. Br.270A2 и Br.271A2 применялись, хотя и в небольших количествах, почти на всех участках франко-германского фронта - как ближние разведчики и корректировщики. Самолет окончательно был снят с вооружения во Франции в июле 1940 г. Китайские "брегэ" в середине 30-х годов приняли участие в гражданской войне. Вооруженная ими эскадрилья бомбила войска коммунистов у г. Лояна и вела разведку. До момента нападения Японии в 1937 г. они не дожили. Моторы, количество х мощность:||1 x 500 л.с. Построенный в соответствии с требованиями к двухместному наблюдательному самолету, изложенными в 1928 году Министерством авиации Франции, цельнометаллический полутораплан Bre.270.01 совершил первый полет 23 февраля 1929 года. После серии испытательных полетов прототип вернули фирме-разработчику для переделки хвостового оперения. Под обозначениями Bre.270 и Bre.271 построили еще девять прототипов, два из которых показали на парижском авиасалоне в 1930 году. Хотя Bre.270 обладал весьма посредственными летными данными, компания-разработчик в 1930 году получила заказ на постройку серии из 85 аппаратов, а в 1932 году - заказ на 45 самолетов Bre.271 с более мощными, чем на Bre.270 моторами Hispano-Suiza 12Hb. Несколько Bre.270 доработали для перевозки VIP-пассажиров, установив прозрачные фонари над обеими кабинами. В 1932 году первый прототип, оснащенный дополнительным подфюзеляжным топливным баком, установил рекорд дальности, выполнив перелет через всю Африку на Мадагаскар. Помимо небольших партий Bre.270, закупленных Бразилией и Венесуэлой, 15 разведчиков-бомбардировщиков Bre.273 экспортировали в Венесуэлу и 6 - в Китай. В число экспериментальных вариантов базовой модели входят Bre.272TOE с мотором воздушного охлаждения, а также Bre.274 с мотором Gnome-Rhone мощностью 760 л. с. Последний создавался как бомбардировщик, но использовался знаменитой французской спортсменкой Мариз Хильц, сумевшей выиграть на нем в 1936 году гонку на Кубок Хелен Буше, показав среднюю скорость 277 км/ч. На момент начала Второй мировой войны небольшое количество групп авиаразведки имели на вооружении самолеты Bre.270 (в том числе группы GAO 509, GAO 543 и GAO 547). Несколько этих устаревших разведчиков было сбито немцами во время выполнения патрульных полетов над Рейном, уцелевшие машины сняли с вооружения в конце 1939 года. Размеры: размах крыла 17,01 м; длина 9,76 м; высота 3,55 м; площадь крыльев 49,67 м! Louis Breguet exhibits two complete machines and the skeleton fuselage of a third. One of the machines is the "Question Mark," on which Costes has made so many fine flights. This machine has already been described in some detail in FLIGHT. 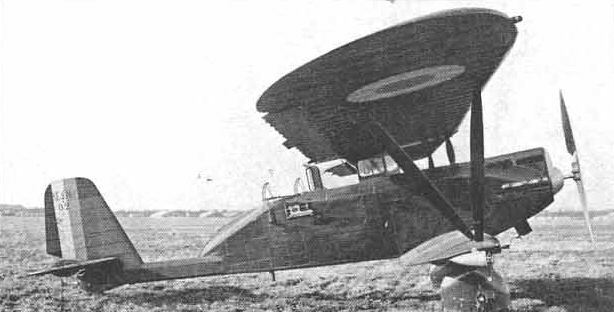 The other is the Breguet 270 A2, a military machine of unorthodox design, in which the fuselage is cut off short just aft of the gunner's cockpit, the tail being carried on a single boom in the form of a large box-section steel spar. 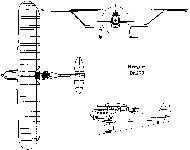 The object is, presumably, to give the gunner a clearer field of fire downward and aft. Although the Breguet 270 A2 is of somewhat unusual aerodynamic design, it is the structural side of this machine which is of the greatest interest. The whole structure is conceived and carried out in a novel manner, and there were many visitors to the show who regarded the 270 as marking the greatest step forward of all the machines exhibited. To those who have followed closely the history of flying from the earliest days, there is, perhaps, significance in the fact that in the 270 Breguet the designers may be said to have reverted to type. In the early days of flying, the Breguet machines were remarkable for several design features not found in other aircraft of the time. For example, quite early M. Breguet adopted metal as his structural material for many of his components. 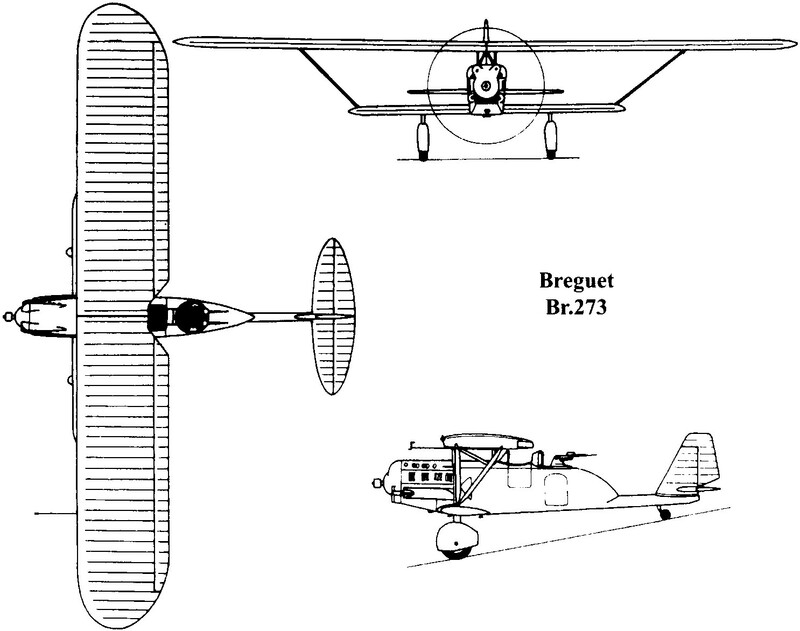 Moreover, several early Breguet types had single-tube fuselages and single-spar wings. The single steel tube formed the "backbone" of the fuselage, the external form of the fuselage being but a streamline fairing. Also, the wings had single steel tube spars, around which the wing ribs were pivoted, their movement being limited by springs. It is rather interesting to recall this early type of Breguet in contemplating the latest type produced by the famous French constructor, and it requires no great stretch of the imagination to see in the 270 A2 the modern interpretation of the Breguet principles of 1912 or so. Fundamentally, the Breguet 270 A 2 is based, structurally, upon two stout members forming, roughly speaking, a letter "T." The top of the T is the single spar of the lower wing, and the vertical arm of the T is the single box-section spar of the fuselage, which carries the tail. These two box-section spars are joined together by a very simple joint, and to them are ultimately transmitted all the heavy loads. The forward part of the fuselage, the engine mounting, etc., are attached at or near the junction of the two parts of the "T." At the rear end of the fore and aft beam is attached the tail. At the outer ends of the transverse beam are attached the V-type interplane struts. And about halfway between the fuselage and the interplane struts are attached the wheels of the undercarriage. The two box-spars which form the "T" are of sheet steel, with walls and flanges corrugated or having the equivalent of corrugations in the form of trough sections riveted on. The internal diaphragms of these spars are particularly neat. They are by no means simple, as regards their geometrical form, but as a mass-production proposition, with the necessary dies available, they are probably very cheap to manufacture. 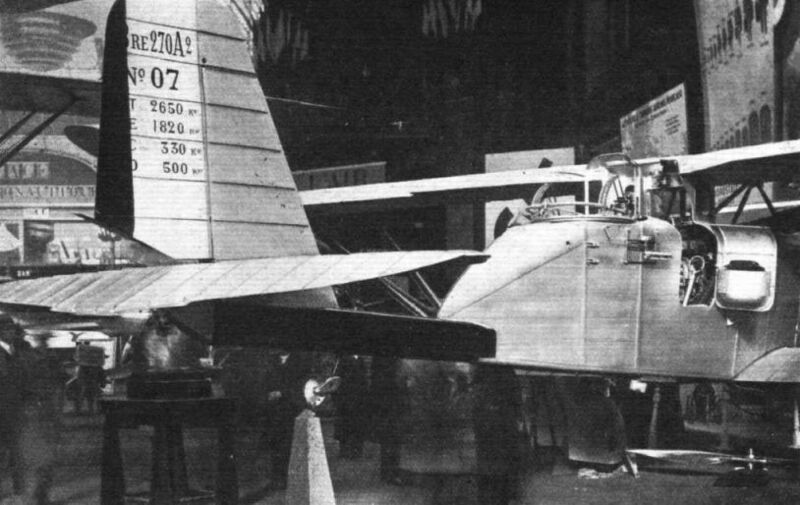 The top plane of the 270 is more or less of orthodox Breguet construction, but the wing system as a whole is, of course, influenced by the fact that the single lower wing spar takes all lift and anti-lift loads, via the V-type interplane struts. 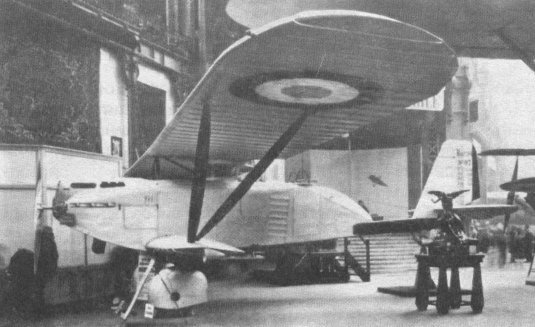 The two wheels of the undercarriage are, as already mentioned, placed one on each side, in the middle of the lower wing spar. Each wheel is supported on a fork built up of sheet steel, and the fork terminates at the upper end in a large-diameter steel tube working in a tubular guide on the spar. Thus not only is the wing a cantilever, but each wheel is cantilever mounted. The arrangement is somewhat daring, especially when one remembers that the landing, shocks are taken by the middle of the spar, and that on the spar alone depends the whole strength of the wing structure. Doubtless the factors of safety are very high for this particular member, and as the number of members has been reduced to a minimum one can, presumably, afford to make them exceptionally strong without thereby incurring a prohibitive amount of extra weight. The equipment of the Breguet 270 A2 is, in its way, as interesting as is the structure, but space prohibits a detailed reference. One point is worth mentioning as indicating how attention has been paid to the use of the machine as well as to its structural design. Both pilot's and gunner's cockpits are provided with side doors. Not only does this facilitate getting into and out of the machine, but the doors have hinges so designed that the doors can be dropped, overboard in an instant while the machine is flying, and in case of emergency this makes it much easier for the crew to escape by parachute. The main dimensions of the Breguet 270 A2 are: Length, 9 m. 76 cm. (32 ft. 0 in. ); wing span (upper), 17 m. 012 cm. (55 ft. 10 in. ); wing span (lower), 7 m. 580 (24 ft. 10 in. ); wing area, 49-67 m.2 (534 sq. ft.); tare weight (with 500 h.p. Hispano), 1,756 kg. (3,860 lb. ); gross weight (according to use of machine), 2,550 kg. (5,615 lb. ), or 2,900 kg. (6,375 lb. ); maximum speed near ground (with 500 h.p. Hispano), 238 km./h. (148 m.p.h. ); climb to 3,000 m. (10,000 ft.) in 10 minutes; ceiling, 7,900 m. (25,900 ft.). LAST week we gave a brief account of the record-breaking flight accomplished by the French pilots Codos and Robida, when they flew from Hanoi, Indo-China, to Paris in 3 days 5 hours 40 minutes. We have now received some further details of this flight from our Paris Correspondent who writes as follows :- Leaving Hanoi at 6.40 o'clock on Thursday morning (local time) and taking advantage of the prevailing full-moon period, the airmen flew night and day, practically making stops of only sufficient time for refueling and the examination of their passports and other papers. They thus established a new record, surpassing by 30 hours and 20 minutes the best previous time of 4 days and 12 hours made for this flight by Costes and Bellonte about two years ago. Codos declared, moreover, on his arrival that they could have gained several hours additional but for the strong head winds and rain that they encountered between Basra and Athens and, further, if he could have flown directly from Athens to Paris, it would have also shortened the time considerably. Owing, however, to this bad weather and the necessity of taking off with a full load of fuel, Codos decided to make additional landings at Rome and Marseilles. Both airmen are in Air Union Air Line Company's service, Codos being the Assistant Chief Pilot and Robida an engineer of that company. Enlisting in the artillery, at the age of 18, at the beginning of the world war, Paul Codos was transferred to the Aviation Service in 1917, and obtained his pilot's brevet a year later, in 1918. At the close of hostilities he served as pilot with several air transport companies, and entered the service of the Air Union Company in 1924. He has made a speciality of night flying and piloted the initial night trips made between Paris and London in 1927. In company with Dieudonne Costes, Codos also took part in several long-distance closed-circuit continuous flights, about two years ago, in which world records were established. He is 35 years old and has 5,200 hours of flying to his credit. 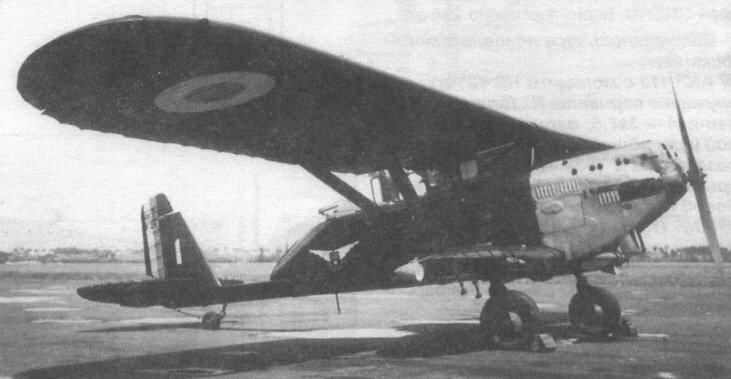 With the exception of the installation of an additional fuel tank, the plane used in this flight, a "Breguet," type 330, long-distance observation machine, was of strictly series construction. It was equipped with an Hispano-Suiza 650-h.p. 18-cylinder in W., water-cooled engine of the well-known type used by Costes and Bellonte in their transatlantic flight. The regular fuel tanks of the Breguet 330 are installed in the lower wings, and have a total capacity of 475 litres (105 gallons). 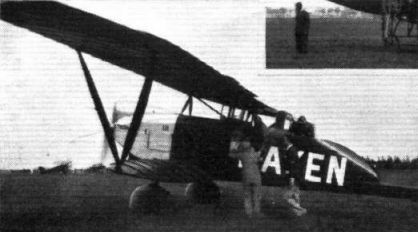 The supplementary tank was installed in the fuselage between the motor and the pilot's seat. It had a capacity of 1,400 litres (312 gallons). The plane thus had a flight radius of some 2,700 kilometres (1,700 miles) at a cruising speed of 180 km./hr. (122 m.p.h.) with the motor turning at 1,640 r.p.m. The petrol consumption at cruising speed was 65 litres (14 1/2 gallons) per 100 km. (62 1/2 miles), with a flight radius of 15 hours. The Breguet 330 is of the same type of construction as the well-known 270 all-steel military observation plane brought out some time ago by this house and now in service in the French Air Force. The fuselage of the 330 is, however, somewhat wider and more spacious than that of the 270, while a 650-h.p. motor is mounted on the 330 and the 270 is equipped with a 500-h.p. Hispano-Suiza engine. Both types of planes have a framework consisting of two steel longerons laid at right angles to each other. One of these beams, which is placed in a transversal direction, serves as the longeron on which the lower wing is constructed, and also forms the support for the landing carriage. The other longeron is laid in a longitudinal direction, and supports the fuselage and the empennage of the plane. The fuselage, however, is shortened and does not extend out to the end of the longeron, a feature which is claimed to furnish much better visibility from the observer's seat. Span, upper wing, 17 m. (55 ft. 9 in. ); lower wing, 17.5 m. (24 ft. 6 in.). Overall length, 9.85 m. (32 ft. 4 in.). Height, 3.69 m. (12 ft.). Wing area, upper wing, 39.83 sq. m. (428.5 sq. ft.); lower wing, 7.91 sq. m. (85 sq. ft.). Total, 47.74 sq. m. (513 sq. ft.). A SERVICE MACHINE AT VINCENNES: The Breguet 270 all-metal military observation 'plane (600 h.p. Hispano-Suiza). 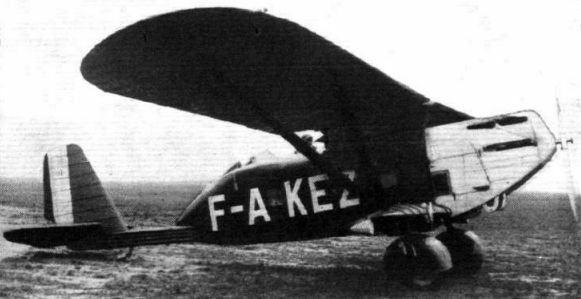 Note the abbreviated fuselage and method of carrying the tailplanes. У Bre.270 силовой каркас выполнен большей частью из стальных, а не из алюминиевых сплавов. Короткий фюзеляж машины, двигатель, нижнее крыло, хвостовая балка и шасси монтировались на стальную раму, за счет чего этот двухместный полутораплан получился очень прочным. HANOI - LE BOURGET IN 3 1/4 DAYS: The Breguet 330 (650 h.p. Hispano Suiza) on which Codos and Robida have just accomplished a record flight from Hanoi to Le Bourget. THE BREGUET TYPE 330: Three-quarter front view of the all-metal observation plane (650 h.p. 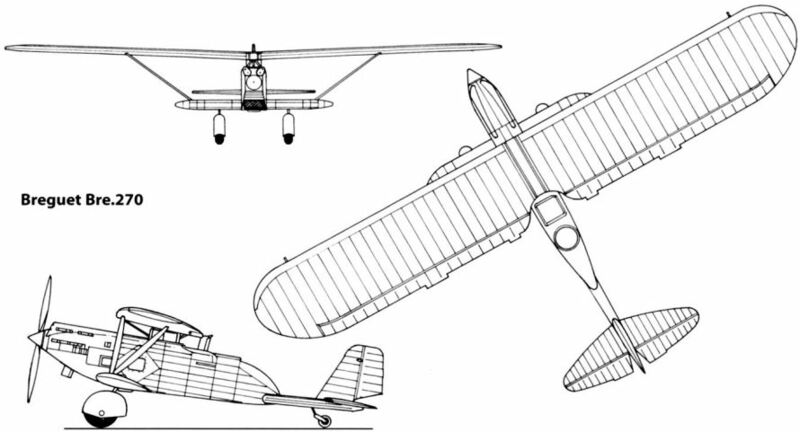 Hispano Suiza), as used by Codos and Robida on their Hanoi-Paris flight. INTERESTING MACHINE AT ORLY: Codos and Robida's Paris-Saigon record Breguet 27.